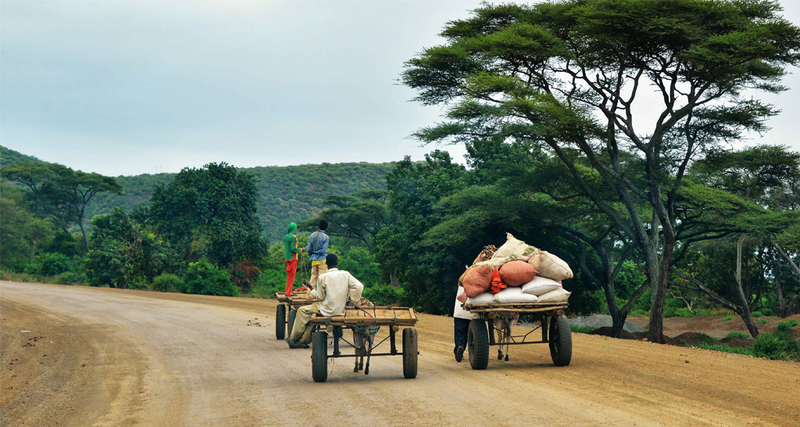 Photos: First page: Rod Waddington, “Rural Transport, Ethiopia,” Arba Minch, Ethiopia. Accessed from http://flic.kr/p/rE7fmX. Creative Commons BY-SA license available at https://creativecommons.org/licenses/by-sa/2.0/. No changes were made. Second page: Counterculture coffee, “Haru Picking,” Ethiopia. Accessed from http://flic.kr/p/dAjGWN. Creative Commons BY-NC-ND license available at https://creativecommons.org/licenses/by-nc-nd/2.0/. No changes were made. In 2012, 70 percent of the 1.2 million monthly calls to the ECX data server came from rural areas. 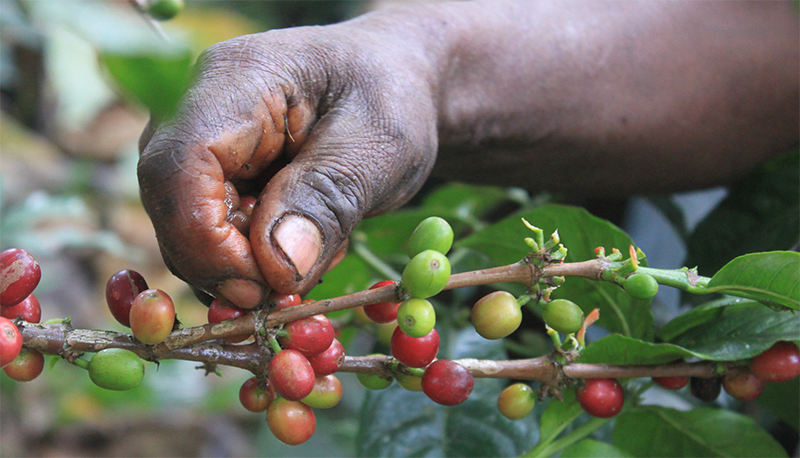 Improved knowledge about coffee prices reduced trader margins fell by almost half, with increased revenue going to farmers.5 In addition, the ECX created transparent quality standards, allowing farmers to increase product quality and thereby the price they obtain. As a result, in the first year and a half of coffee trading the Exchange saw the volume of highest grade coffee triple.